Beauty sponges have become a key make-up tool in recent years. 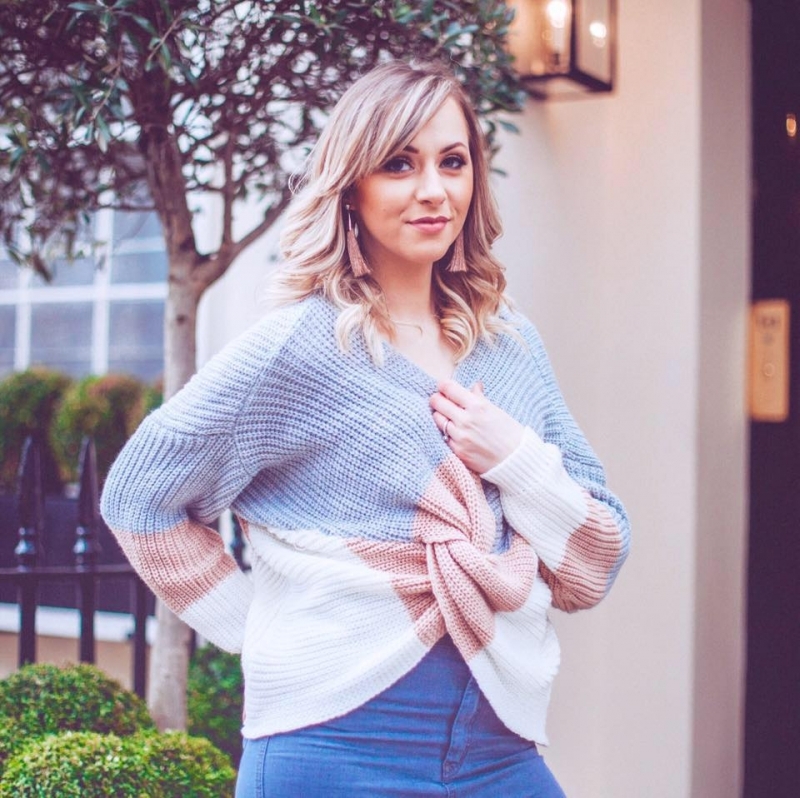 Every beauty brand seems to have their own version of this application essential nowadays and you can even find budget versions for only a couple of pounds – meaning just about everyone has at least attempted to apply their make-up with one. However the original, the one the others want to be, will always be the Beauty Blender. I was quite late to the old beauty sponge party. I swear by brush application and I’m a creature of habit, so put off trying sponges too much for far too long. I’d try the odd one that was kindly sent to me, but even if the results were good, I’d switch back to my trusty brushes shortly afterwards. I told you, I’m a creature of habit! 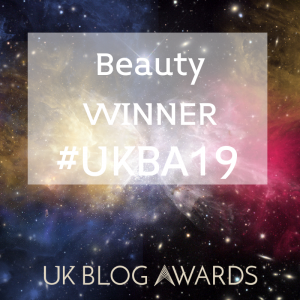 Oddly enough, Beauty Blender were one brand of beauty sponge that I hadn’t tried – go figure. So for me, I felt like I’d got the cream of the crop when I finally got my hands on the All About Face set. Call me one very happy beauty blogger. I couldn’t wait to try them out, add them to my beauty regime and finally see if they really were just as good as everyone says. I was even prepared to forgo my trusty brushes and make the switch to allow me a full and thorough experience with these cute looking egg shaped sponges. 1. Don’t use it dry! Now this is the first and most important thing to remember with a Beauty Blender – they’re supposed to be used damp! (Back when I tried my first ever beauty sponge, I didn’t know that, so I’m saving you guys the confusion of finding this out for yourself!) The idea is to ensure your Beauty Blender is damp before applying your make-up. For me the best results are when it’s retained a very small amount of moisture, it’s not wet – just damp. Too much water doesn’t work either, so keep it damp and you’ll find your make-up applies seamlessly. It’s a balancing act at first to find the perfect level of dampness, but you’ll quickly learn what works through trial and error. I tend to run mine under the tap for a few seconds, squeeze the excess moisture out and then squeeze in a towel too. This helps to get it just right. Unlike brushes, Beauty Blender’s will work better after a daily wash. The sponges can hold bacteria easier than a brush so remove this with a daily cleanse. Because you use them damp, they don’t allow a huge amount of product to soak in, so they are really quick and easy to clean. A quick wash out with a brush cleaner or likewise after each use is plenty and keeps your Beauty Blender fresh and in top condition for longer. Always keep the little pot that your Beauty Blender comes in and use this as a drying station after each wash. It keeps it protected and safe while drying, but also it means it’s able to breathe and get air, which lengthens it’s lifespan and it’s ready for your next application in no time. When applying your foundation always use a patting motion – not a swipe. You’ll get the best results this way and it doesn’t clog your pores as much either. Think of the motion as a repetitive dotting, covering the area you want as you go and working in sweeping motions across the face. Use the scooped bottom for bigger patches and things like foundation, and the pointy edge for smaller creases and around eyes and nose etc. I also recommend trying the Beauty Blusher for cheekbones (highlight, blush etc) as it’s a tad smaller so gives you more control. 5. Apply powder products too! 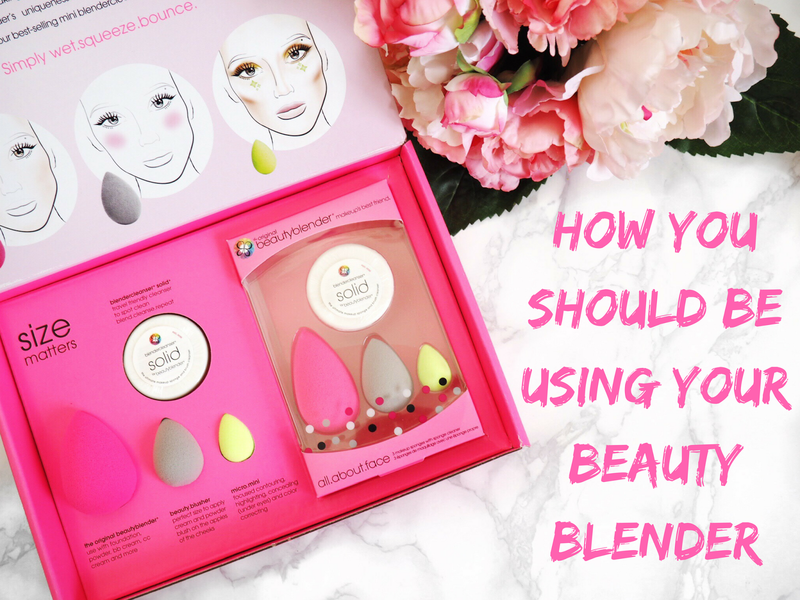 Did you know that a Beauty Blender can be used to apply powder make-up products too? As long as you remove excess water then it will work amazingly well in smaller sections as you apply powder products. Working on smaller sections of the face is key for applying powder, but I actually find it’s great, especially during the day for a pick-me-up and to reduce the shine I suffer with thanks to my oily skin. Like everything, you need to be mindful of when it’s time to replace your Beauty Blender. It’s recommended that you replace yours every three months, however so far mine looks set to last a bit longer than that, and I’m okay with that. Just don’t push it past sensible when it’s tearing and falling apart! Pssst: Beauty Blender Cleaning Hack! And not so much a ‘how to use it’ but a ‘how to clean it’ tip now but did you know a microwave is a nifty way to clean your Beauty Blender?! Yes that’s right, pop yours in a jar or container that’s half filled of water with a dash of washing up liquid and heat on full for one minute. Remove the Beauty Blender, dry excess water off and then repeat again. Voila, clean and stain free! You’re welcome. If you follow these easy steps, you’ll find Beauty Blenders really do give the most flawless make-up application. I love the matte look to my foundation but these are great for all make-up finishes from matte to dewy, thanks to the controlled dotting motion of application. If you haven’t already, using a Beauty Blender will impress you, because you’ll likely have heard how much everyone raves about them but I can assure you that nothing prepares you for how well it helps to apply your make-up. I was blown away. Yes it took me a few days to get the hang of it in a way that worked for me, but once I did, I was thrilled with the results. Not just because of the finish, but because of how much control it gave me during make-up application. Meaning this one tool makes me feel like my make-up performs better now too. So I guess you could say that these little egg shaped beauty tools really are essentials for beauty lovers. And yes, I still love my brushes but I won’t go back to using them for my foundation, highlight or concealer now. Beauty Blender have taken that job and they’re not giving it back. Sorry brushes! Find out more about the new Beauty Blender All About Face set here. Are you a Beauty Blender lover? If so have you got any tips of tricks you can share? And if you’ve not tried one yet – what are your thoughts?